Figure the fraction of the grids that are shaded, then add them together. 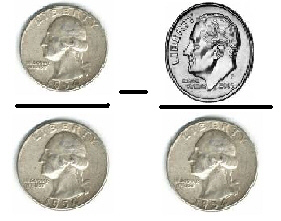 Add the white portions of these two pie graphs. 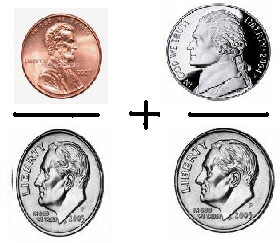 Add these two fractions represented by the coins. 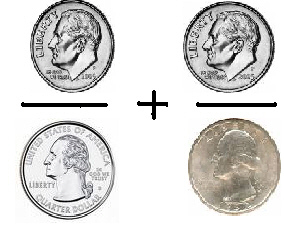 If a recipe for cookies calls for 1/3 cup of white sugar and 2/3 cup of brown sugar, how much total sugar is there in the whole recipe? 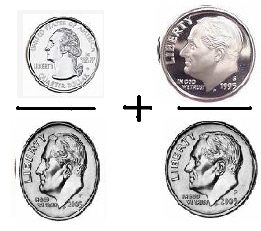 What is the sum of these two fractions represented by the coins? 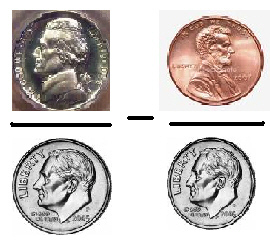 What is the difference between these two fractions represented by the coins? 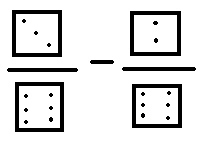 What is the difference between these two fractions represented by the dice?